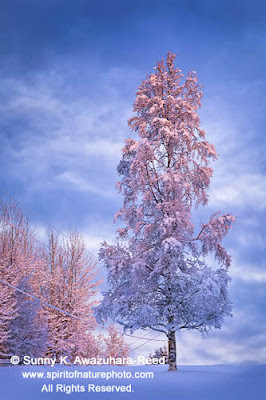 Aurora Borealis (Northern Lights) are special in winter in the north. 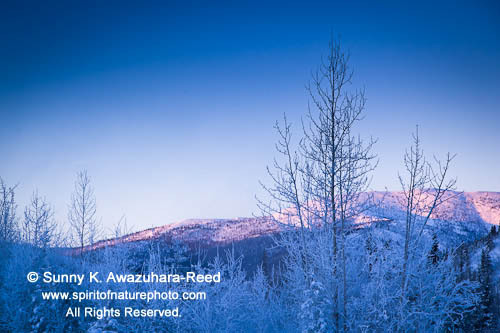 Winter alpenglow is another special lights in Alaska. 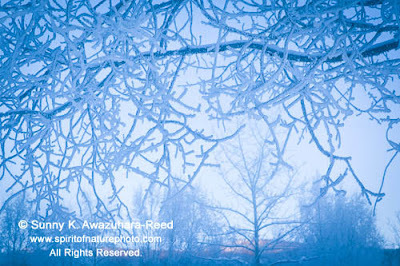 During a long winter, day lights are short in Arctic North. 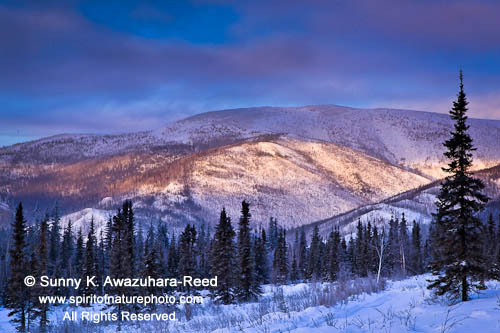 On December 21, the winter solstice, we only see 3.5 hours of the day light plus a few hours of dim light in Fairbanks area in Alaska. 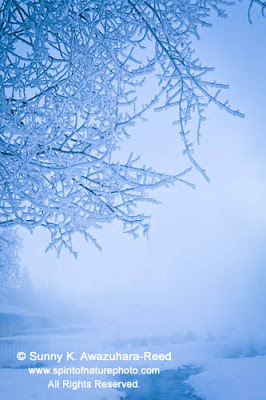 The days are gradually getting longer in January... sunrise is 10:30am and sunset is 3:30pm in the mid January. There has not been any direct sun lights since mid November. In this northern latitude, sun only stays right above the horizon for a few hours, moves only a short distance, and then set under the earth... 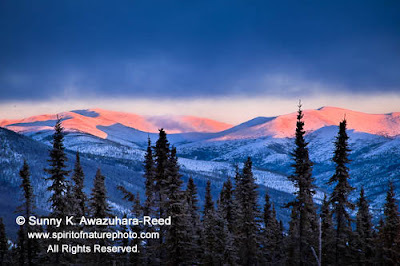 The low angle sun lights up the snowy mountain peaks and paints to rose pink. In the most part of world, alpenglow last only for a several minutes; in the north, alpenglow last for a long hours! The bright pink lights slowly shifts to northwestern peaks to northeastern peaks for 3-4 hours until it disappears! A Photographers' dream moment lasts a few hours. Photographing in sub zero climate is a challenging... Layers of clothing and face mask would reduces ones mobility... and tripods are icy cold. Setting up the camera with grabs is a bit of frustrating work... Then, standing one place for a while, toes and finger tips start feeling pain from the cold. Eye lashes start frosting... after 10 min, the camera and tripod are frost covered! Holding a filter by hand is a painful work in -20 degree... Soon, time to pack up and move on.